Is It Safe to Root Your Android? Lots of Android users cannot take a decision of rooting because of the risks to brick their devices or knock them out of services. Though rooting have a couple of risks involved, but they aren’t as horrible as you may think. And today we’re going to dwell upon how to keep a rooted phone secure and safe. Some Android users may mistakenly believe that rooting retains the security. And after rooting, Android devices become unsafe, etc. Actually, there is hardly any reason for that. Android can become safer and more powerful after rooting. And it’s a fact. Rooting brings much more perks to your device than losses. Want to know more benefits of rooting? Check out our last article. While rooting your Android device, you’re changing the security restriction of the operating system. A rooted phone is more prone to risks of getting hacked or attacked by various malware software. This means that your smartphone can be easily infected. But the truth is, even unrooted Android devices can be hacked or attacked with ease. There are several ways of getting malwares - drive-by downloads, sly links, infected apps, etc. So you can get a malware as soon as you take a smartphone out of the box. But rooting allows downloading of powerful anti-malware apps which can protect your device from hacking. Rooting an Android device is quite a simple process requiring minimal tech skills, but if you aren’t sure if you can do it on your own, it’s better to rely on the experts. Otherwise, your device might stop working. There is always a chance that something may go wrong. But the risks of bricking are quite low. Sooner or later even unrooted devices may give out. Your rooted phone can become unrooted again after you update its operating system. And it means that you’ll have to root it once more. Your device might fail to update the system. But is there any need to wait for an official update since you can install the newest versions of Android as soon as they appear thanks to the root access. Manufacturers don’t support rooting of Android devices. In some countries, it’s even prohibited by law. To find out if it’s legal to root your device, read our previous article. If you root your Android device, you may lose the official support. In this case, you’ll have to repair your phone on a paid basis. But there is always a possibility to unroot your device and get back the initial settings. Rooted devices are more prone to virus attacks than original ones. Fortunately, there are some security applications that can keep your device secure. Frankly speaking, the greatest risk to the security is users. And here’s some advice on how to keep your rooted device safe and sound. Since rooting allows customization of internal Android settings to tailor a device according to your needs and preferences. With rooting, you can manage internal storage, increase or decrease the CPU speed, and install root-only apps. But note, rooting can also be used by apps to sniff out some sensitive information like your personal detail or banking credentials. 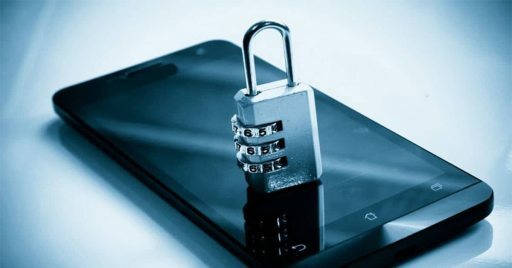 Fortunately, there are root management apps that act as gatekeepers to keep your device secure. As a rule, we don’t think long before giving special permission for superuser access. We grant them even without reading what access the app needs. We often forget that by giving the root access, you open up the operating system of your phone and eliminate all the security features of Android. It means that the app gets full access to all data stored on your devices. The Google Play Store is one of the most popular sources of Android apps. It’s probably the safest place where you can download and install apps for our devices. Google regularly check apps for malwares, viruses, or anything else that might be suspicious. But Google Play Store isn’t the only place where you can download the apps. You can get them from Amazon App Store or just from anywhere on the Web. Just think well before granting root access to the app especially when it’s coming from the unknown source. Proper root access management can make your rooted phone even safer than it was. Just follow some simple rules to keep it safe. If you want to unlock the hidden functionality of your Android device, but don’t know how? Feel free to contact our experts, and they’ll lead you through the rooting process.